“The GOP’s tax plan passed in a final procedural vote in the House today will now head to President Trump’s desk. 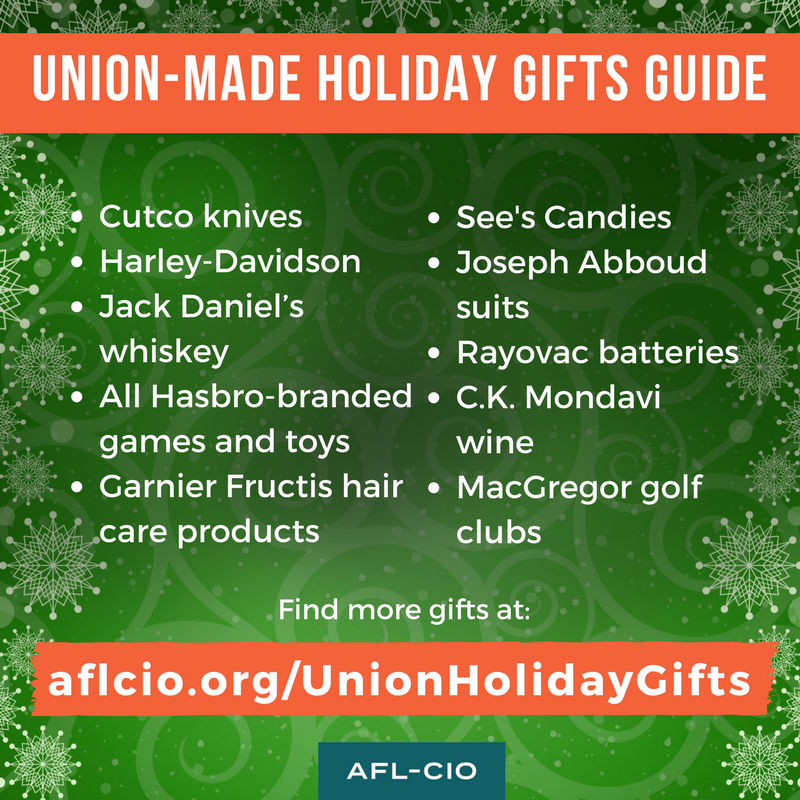 This bill is a holiday present to Wall Street and corporate CEOs wrapped in the false pretense of trickle-down economics, a failed strategy which does nothing to help working people prosper. It is a tremendous step backward for our country. “We are disappointed to see Congressman Greg Walden vote in favor of this bill, and we applaud Oregon’s Senators Jeff Merkley and Ron Wyden and Representatives Suzanne Bonamici, Earl Blumenauer, Peter DeFazio and Kurt Schrader for standing with working Oregonians and voting against this egregious tax plan. 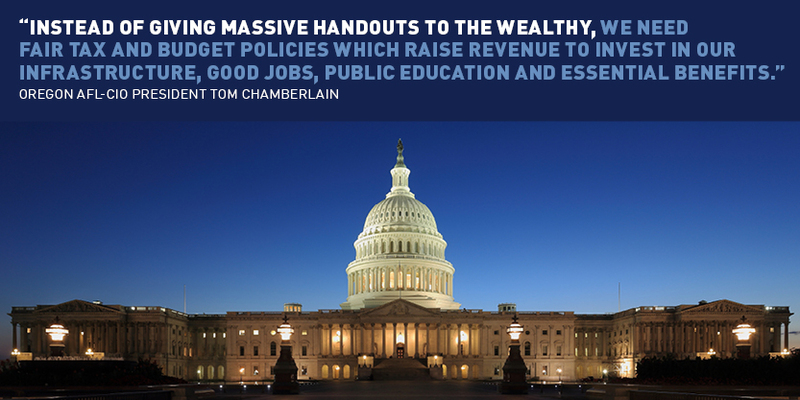 “This shameful plan directly benefits the wealthiest Americans and allows their children to inherit millions tax-free, while the rest of us work and pay taxes to provide for our families. It’s a job killer: It ends taxes on corporate profits made overseas, which will only incentivize companies to send more jobs out of the country. It will lead to cuts to Social Security, Medicaid, and Medicare to pay for the budget deficit made worse by the GOP’s shortsightedness. President Trump is being criticized by both unions and lawmakers for filing a ‘friend of the court’ brief in the case Janus v. AFSCME. President Trump frequently boasts about his support for workers, yet his administration is advocating a position in the United States Supreme Court that disregards decades of settled law and threatens the livelihoods of millions of workers. Once again, the President’s actions are failing his rhetoric and making clear that he has no intention of following through on his commitments to workers. Click here to read more. IBEW Local 659, in coordination with Aclara, is seeking applicants for AMI Meter Installation work across the state. This is great job for union members who may be temporarily out of work or who have friends and family needing work. Click here for all the details and please contact Kathy McUne, Business Representative at IBEW 659 if you have any questions at kathy@ibew659.org. Are you anticipating your traditional holiday political debate with friends and family? 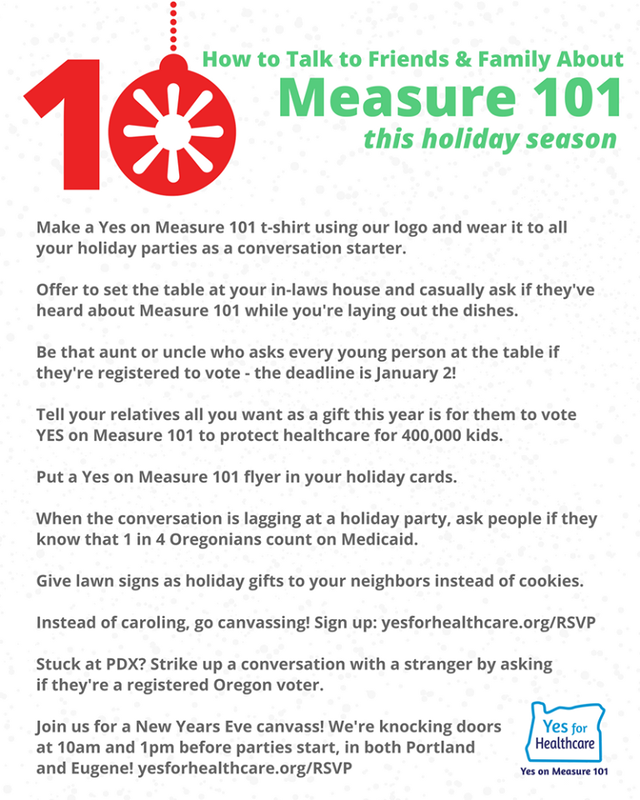 Prepare yourself with these handy talking points about why Oregonians should vote YES on Measure 101 in January!